A new ‘peer-to-peer mentoring in internationalisation’ programme for creative sector entrepreneurs across Europe’s Northern Edge will kick off shortly and the deadline to apply is next Wednesday, 31 August. 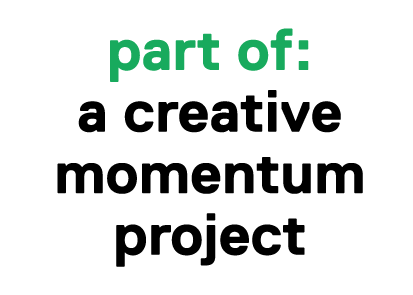 Under the EU co-funded a creative momentum project, we are looking for applications from creative sector entrepreneurs based in Northern Finland, Mid-Sweden, South East of Northern Ireland and the West of Ireland. Participants will be matched with another creative entrepreneur from one of the other partner regions and will work together online over a 6-month period. If you are based in any of the four regions and work in the arts, crafts, design or media & technology sectors, you are very welcome to apply. The deadline for applications for the 1st round of the ‘peer-to-peer mentoring in internationalisation’ programme is Wednesday, 31 August. Thereafter there will be quarterly calls for applications for future programmes (deadlines of 30 November, 28 February and 31 May). Participation is on a voluntary basis and will be implemented online. Participation is free of charge.